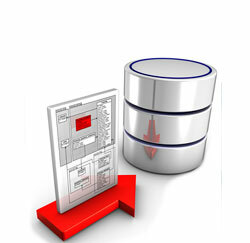 Organizations face numerous data challenges such as: the need for business users to generate ad-hoc reports without relying on pre-designed reports that can only be produced and customized by IT; the need to analyze data from disparate source systems (both internal and external data) in a timely manner; the need to make prompt data driven decisions. For these organizations, it is critical to have a sound data warehouse environment. SmatData has the experience and expertise to address these data issues by providing the following services.  Plan, build, deploy and manage enterprise data warehouses that are secure, scalable and reliable.  Integrate data from disparate sources so users can have a holistic view of the organization. Maintain and grow the data warehouse as the organizational processes evolve. Our bottom-up iterative approach to building data warehouses reduces the time-frame required to build and customize various data marts. This approach also reduces the initial and maintenance cost and makes the data warehouse adaptive and resilient to change. Since a lot of companies have already invested in Microsoft products, we leverage their investments to reduce the cost of development. We utilize various Microsoft business intelligence technology tools including Microsoft SQL Server Database Services, Analysis Services, Integration Services, Reporting Services, Master Data Services, etc.